Amla also is known as Indian Gooseberry is a tree that is famous for its nutrient-rich fruits value. Amla has been used for centuries in Ayurvedic medicine to treat a wide variety of health conditions. It has been said about past 5,000 years Amla is used as a medicinal plant. Amla is a very powerful antioxidant agent & rich in vitamin C, A and contains many vitamins and minerals like calcium, iron, phosphorus, carotene, and vitamin B complex etc. So know in details about Benefits Of Amla or Indian Gooseberry. Fights Against Heart Disease & Stroke: It strengthens the heart muscles, By reducing excess cholesterol buildup, chromium in amla can reduce the chances of atherosclerosis or plaque buildup in the vessels and arteries. This can reduce the chances of stroke and heart attack. Amla contains iron it promotes the creation of new red blood cells. Slows Down Ageing : Amla is powerful antioxidants that are effective in reducing cell damage. Amla helps for brightens skin tone, it is good for skin beauty. It can help to fight wrinkles, pimples, acne. Cures Sore Throat: Amla is a good source of Vitamin C. Mix 2 teaspoons of amla powder with 2 teaspoons of honey. Have it three to four times a day for good results. Increases Metabolic Activity: It can increase the absorption of protein, It great way boost your metabolic rate. Your metabolic rate is how fast your body burns calories. Body Weight loss: Increases Metabolic Activity, it will Boost to lead to faster weight loss. Reduces Blood Sugar: It can stimulate the pancreas Islet of Langerhans which further regulate the suitable secretion of insulin hormone, which helps to control normal blood glucose level. 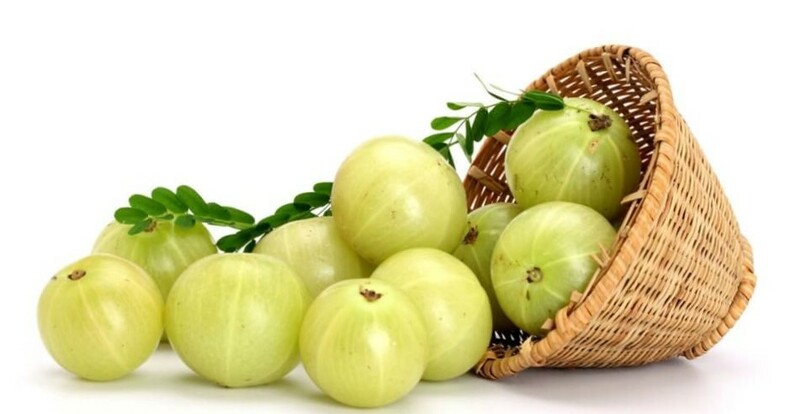 Amla reduces constipation: Amla is high in fiber, it help for healthy bowel movement by keeping the gastrointestinal tract clean, can help to reduce constipation. Amla for digestion: It can strengthen the digestive system, improving the body’s ability to absorb nutrients from food, triggers the taste receptors, making the digestive enzymes active. Anti-inflammatory properties & Boosts Immunity: It can boost body immunity, protect against infection and improve the body’s immune response. Can Prevent Cancer: Amla is a rich source of antioxidants and vitamins, antioxidant can help to prevent Cancer. Hair Care: Amla is widely used in many hair tonics. It strengthens the hair roots, maintains color, and improves luster. Amla is good to prevent hair loss, hair fall and plays a vital role in the overall health of hair. Regular intake of Amla juice makes your hair darker and thicker & strong. Amla is also used with oil, shampoo & paste form as medicine of hair. Eye : A study said it can improving eyesight and studies have shown it to improve near-sightedness and cataracts while reducing intra-ocular tension. Calcium Absorption : Amla is very good for strengthening bones not only for high calcium content, but also for the fact that it lowers osteoclasts (osteoclast is responsible for breaking up bones).